A simple way to measure the pH levels of your soil — an important factor in successful growing. Available in basic and plus models. Basic meter: Measures the acidity/alkalinity of garden and container soil and shows instant results on an easy-to-read LCD screen. Batteries included. Plus meter: Adds advanced features, including a database with the pH preferences for more than 350 species, so you can instantly see if your soil is in the right range. Batteries included. Live in Mississippi, ALL the soil needs to be amended with something. Wanted a soil tester for blueberries and other garden plants. I am doing lots of planting with the goal of creating a temperate climate food-forest and the variety of fruit/berries I desire all like different PH levels. This will help me properly amend the soil. Blueberries are sensitive to soil acidity so I want to be able to measure the soil pH. I needed to test soil. Didn't work very well for me. I needed this to measure the pH level of soil for various plants. I need this to make sure of my soils ph and acidity levels. Quick and easy tool to use for checking ground pH. No more taking a sample to the nearest garden center to find out the acidity level. Need to test the soil pH. Our soil has needed testing for years, now I can do my own!! Yay! Now I'll know what the pH level is off my soil! I needed to know the pH of the soil before planting crops. To ensure I have the soil dialed in to the right pH. Help tending my garden and keep the plants happy. Handy tool for keeping track of those plants, like blueberries, that prefer a certain soil type pH. What is the proceedure for testing the soil? Some you have to put soil in water to test. BEST ANSWER: Following the directions included with the product, this meter is intended to be used in the soil in the ground/container. 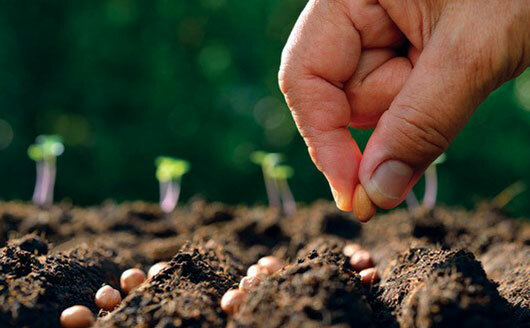 For best results, test soil that is slightly damp. The meter will not give an accurate reading for soil that is removed and immersed in water. As some other customers have mentioned below, the Plus meter does not come with instructions and consistently gives a 7.0 reading, even when placed in known highly acidic soil. Is this a malfunction of the product or is there a "trick" to using it that we are not aware of? Be sure you are using this meter in the soil in the ground/container. For best results, test soil that is slightly damp. Please note that the meter will not give an accurate reading for soil that is removed from the site and immersed in water. If you are having further issues getting the product to work properly, please contact our customer support team (800.325.4180). Incredible value for the $. works perfectly IF used properly. must be submerged in WET soil (doesnt have to be soaked) and must be OFF until it is IN the soil. Good luck! Make sure you turn it off. Works really fast. Liked it till I forgot to turn it off. Needs new battery. The batteries the product came with were dead. Product still would not work with new batteries. The contacts in the battery compartment had to be bent to make contact with the batteries so it would work. Display is very hard to read. Sorry, but the product almost always gives me 7.0 reading. And since there are no instructions that come with the product I am not sure if I am doing something wrong. Two years my lawn sodded with Zoisa grass. The sod company said the lawn needed lime every year so I added lime per their instructions. The lawn started to wither. I tested with litmus strips and came to no conclusion. Finally I bought the soil meter and it read 8.9 at many spots. Soil that didn't have added lime was 7.2. I corrected by adding sulfur. The soil meter is very quick and easy to use, just be sure the soil is a little damp. easy to use.gives the results in seconds to keep ph levels in range year round.you do not need to spend a lot of money this tester will do the job just fine. While awaiting delivery of two dozen rose bushes, decided to check the PH in our soil. We have a newly constructed house with no prior plantings. The Rapitest worked beautifully. The Basic Meter is sufficient for our needs. This meter seems to work well and is very helpful. I'm still getting used to keeping the proper soil for blueberries. I recently replanted them with 1/3 peat, 1/3 bark and 1/3 acid plantng mix. Wish me luck! Tested several areas with different plants and trees. Easy to use and results are there instantly for your knowledge of what is needed to get the plants the soil they need. Works as described and well. The controls are very easy to use and helps me make good decisions on when to amend soil. Followed instructions and the readings were both inconsistent and unbelievable. I wouldn't purchase this item again. CANNOT RECOMMEND THIS PRODUCT. When I received it, batteries supplied with the meter were dead so I had to get new batteries. The display is to small. To many information lines packed into to small of a viewing area. If you are not careful in removing the soil probe from its holder, on the back of the unit, you can easily bend the probe. Control buttons on the unit feel cheap and not positive. Readings won't stabilize when probe is in soil. Considering sending it back for a refund. DON'T WASTE YOUR MONEY ON THIS. I love it....it's fast and effective. Simple to operate and instant analysis...no waiting 4-8 weeks for county extension service to tell what you know from this tester...just great! What a great tool to monitor your berry plants and other flowers or veggies you have. Very surprised about the ph of the soil and took action to remedy the deficiency. Would recommend this product. Works Great! Use this to check my ph for Blueberry plants. Very affordable tool. I wouldn’t recommend this to anyone. It is cheap and inaccurate. I would get a vast range of readings every time I would use it in the same area. Doesn’t work. This meter never worked from the time it was received. I still rely on taking a soil sample and checking pH with lab meter. The pH meter always shows around 7 when I know that cannot be accurate. IIn short, the meter does not work.. Waste of money!! I would not recommend this item to anyone!! !